Positron’s FlexStream FS-CAB-08 rugged IP-65 outdoor enclosure is designed to host one of the AK624RU or next generation FS-GIGA-08 universal CPEs from Positron Access Solutions. The FS-CAB-08 in use with an AK624RU or FS-GIGA-08 is a self-contained standalone unit that eliminates the need for any 3rd party cabinet enclosures, heat exchangers and site construction, which account for a large portion of the total cost of deployment. 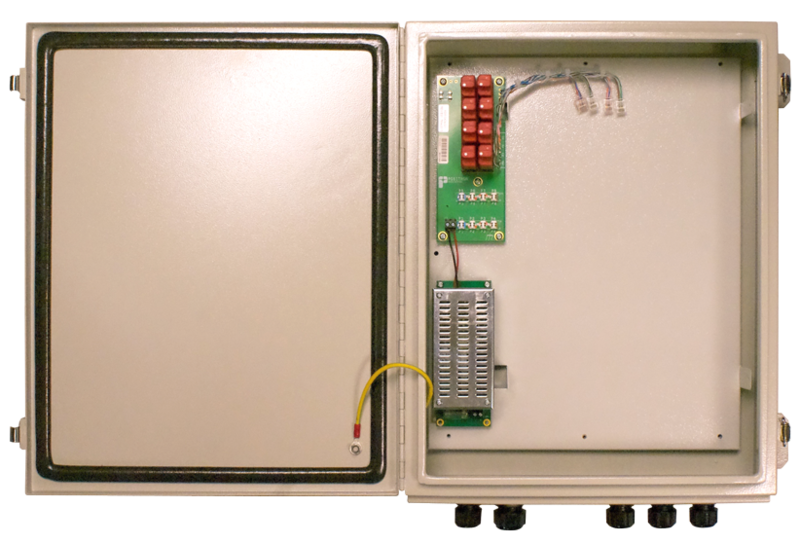 The FS-CAB-08 can be deployed indoor where a secure enclosure is needed or as part of the outside plants (OSP). The FS-CAB-08 is a lightweight waterproof (IP-65 / NEMA-4x) environmentally hardened enclosure with flexible mounting options: wall-mount, pole-mount or, on the side of a cross-connect or splice pedestal. Installation plates are offered for each universal CPE (AK624RU or FS-GIGA) to facilitate the mounting inside the FS-CAB-08. Please refer to ordering information section at the end of the document. The AK624RU and FS-GIGA-08 Universal CPE are standard-based 8-pair VDSL2 and ADSL2+ with multiple Gigabit Ethernet ports (Optical / RJ-45). Both access devices are Metro Ethernet Forum (MEF) Carrier Ethernet (CE) 2.0 compliant. They are fully standards compliant and interoperate with leading 3rd party DSLAM from Alcatel-Lucent, Calix, Adtran, Huawei and others.